Critter Face Applique 17 - 3 Sizes! This design includes 3 sizes, one for the 4x4 hoop, one for the 5x7 hoop and one for the 6x10 hoop. Critter Face Applique Set, 20 Designs - 3 Sizes! 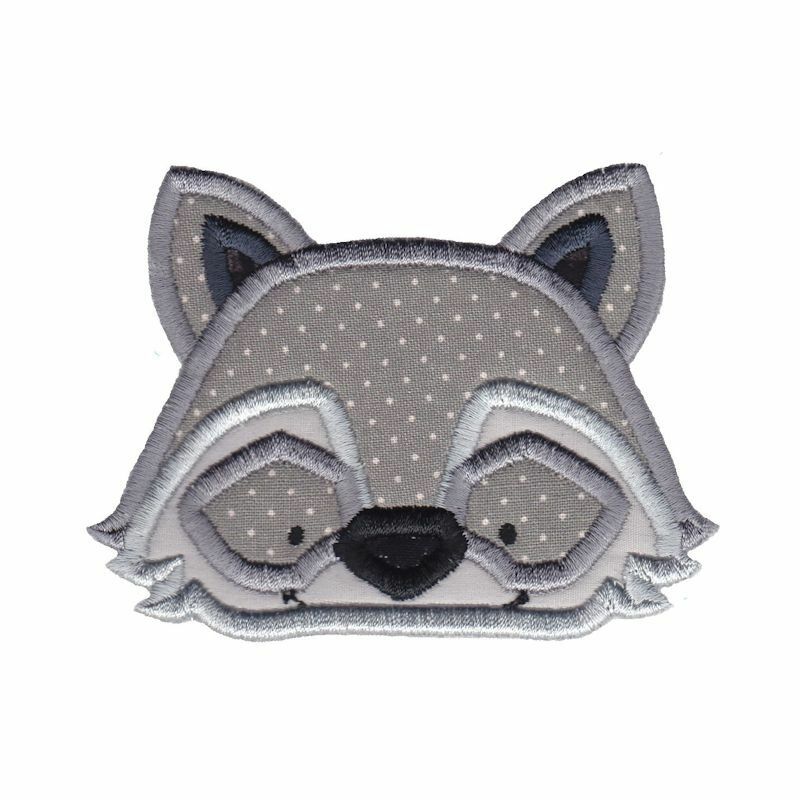 Face It Raccoon Applique - 3 Sizes! Forest Animals Applique 17 - 2 Sizes! Woodland Animals 10 - 2 Sizes! This design is also available in a larger set. Just click on the "Critter Face Applique Set, 20 Designs - 3 Sizes!" link in the "You might also like" section for more information.